This article aims to show how one can use the VLC audio codecs to build blockchains with the connected objects. These blockchains can be independent or connected to a classical blockchain network through a link block (sidechain). 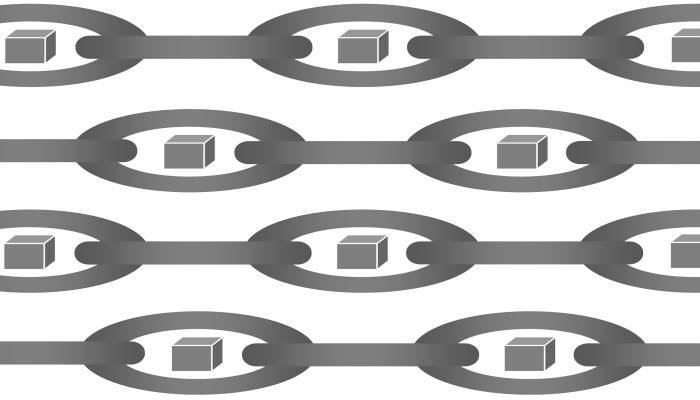 The use of a digital watermark, in connection with these chains of bocs, allows to monetize the data by avoiding piracy on a large scale, or to validate the source of the data. We are interested in the data of connected objects that can support a lossy compression. The data are regularly spaced in time, like a data every half-second, every second, every two seconds, and so on. If the data are not evenly spaced, interpolations must be made to ensure that they are. If we have data every second, after 10 minutes we get 600 points. We can take FFT (Fast Fourier Transform) buffers from 600 to 1024 points. There will be one FFT frame transmitted every ten minutes. The high or very high frequencies (48 kHz, 96 kHz, 192 kHz, ...) are also concerned. The VLC codecs are based on FFT and consider two planes: the foreground consisting of the greatest points (points of greatest magnitude) and the background consisting of the most energetic bands (a part of the rest of the points, organized into bands). It is possible and fast to include a contiguous area of points or all the rest of the points in the background (no sorting to choose the most energetic bands, no transmission of the positions of the bands). The background is coded with less precision than the foreground, in particular, we cannot put phase for the points, or just take the sign of the phase. This property makes possible to increase the compression ratio without a significant loss of quality. The properties of the classical blockchains are retained, in particular the current block (block N) contains the hash of the previous block (block N-1). For the small FFT frames, the transactions are replaced by the codec data (compressed FFT frames). For the large FFT frames, a transaction is replaced by a pointer to a frame (or a frame URL) and the hash of the frame. The validated blocks are public and cannot be modified. However, in the context of a commercial use, it is very difficult to assert your rights over the data without the digital watermarking. If one is interested in this aspect of the things, the compressed frame included in a block must not be the compressed frame of the original signal alone, but the compressed frame of the original signal with a digital watermark. The watermark is applied to the amplitudes of the points of the foreground (amplitudes of sines and cosines), this has an impact on the magnitudes and the phases of this plane. A deeply modified signal on the outside erases the watermarks, but cannot be validated by the blockchain and results in totally erroneous data. An unmodified signal is validated by the blockchain and results in the preservation of the digital watermarks. A slightly modified signal on the outside cannot be validated but preserves the watermarks. We recommend the use of a method called NEC scheme, resulting from a more global method called Perceptual Watermarking, which is part of the family of the Spread Spectrum Watermarking. A DApp is an app that runs on a decentralized network of machines. It is planned to develop a DApp to compress and decompress compatible data from the connected objects, and, on demand, to insert or verify digital watermarks. 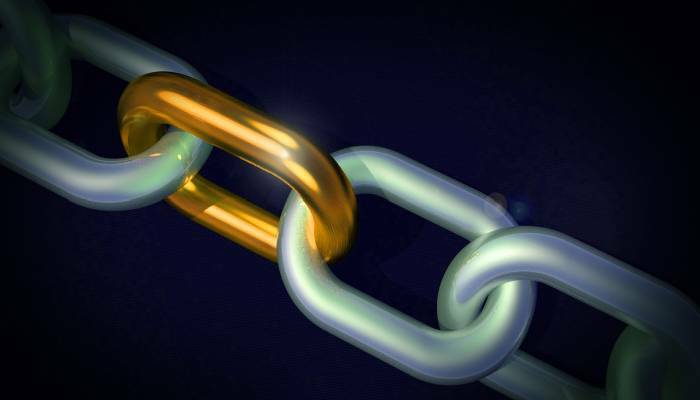 - The first block of the chain can be connected to a conventional system using the sidechain technology. A single anchor point minimizes the block insertion costs and allows to use the virtual currency of the parent system. - The presented method is compatible with the partial overlapping of the frames (at 50% or less) which is often used to eliminate the edge effects caused by the compression. - If we use the logarithm to encode the magnitudes, we must use a precision adapted to the problem. Similarly, the foreground phases must be encoded with a sufficient accuracy. - The VLC codecs do not use the psycho-acoustics to improve the compression ratios, these concepts are not valid with the data of the connected objects. - The compression and decompression methods used for the audio are used, the sampling rates and the number of frames per second are no longer the same. - The compression allows to reduce storage, transmission and processing costs. - The presented method is compatible with the data encryption. The data encryption is, however, an incomplete solution. The data from the connected objects is often anonymous or anonymized. Once decrypted, these data can be distributed without modification or after slight modifications. - In addition to efficiently compressing data from certain connected objects and time series, the VLC codecs can be used to create blockchains containing compressed data, without or with digital watermarks.